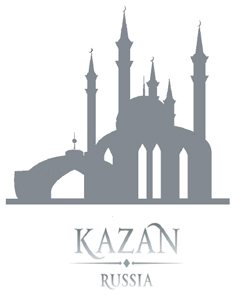 The Joint ICPCA11/SWS8 Conference on Human Centered Computing (HCC) 2017 will be held in Kazan, Russia from 07 to 09 August 2017. The goal of HCC 2017 is to further explore both theoretical and practical issues in and around the emerging computing paradigms. It is the main forum to exchanges ideas and visions on how ICT can support the construction of intelligent and sustainable societies. In 2017, HCC features three special research tracks on human-robot interactions, human enhancements and brain informatics. HCC2017 also features three special tracks on emerging research topics. Please submit through HCC EasyChair site at https://easychair.org/conferences/?conf=hcc2017. All submisison should follow strictly the Springer LNCS format. The proceedings of this conference will be published in Springer's Lecture Notes in Computer Science series (LNCS). Papers should not exceed fourteen (14) pages in length and must be formatted according to the information for LNCS authors. All papers will be peer-reviewed by members of the HCC 2017 programme committee. Papers are selected based on their originality, significance, relevance, and clarity of presentation. Authors of selected papers will be invited to submit an extensively expanded version of their papers to be considered for publication in special issues in international journals.